The iTunes Match cloud music service is looking to broaden its international reach with an anticipated release in several new European countries, MacRumors reports. Several MacRumors readers in Italy, Greece and Austria had to agree to an updated iTunes terms and conditions document, which apparently referenced the cloud music service. 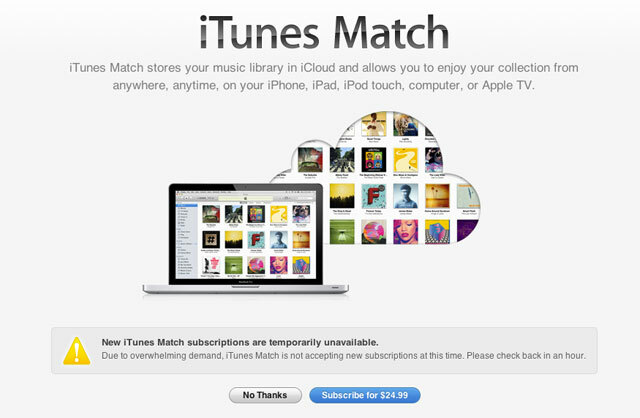 Other enthusiasts have been able to successfully sign up for iTunes Match outright. Several screenshots of the Italian version of the service have surfaced, which show a price of €24.99 per year. MacRumors has also received confirmation reports from users in Bulgaria, Slovenia, and Portugal as well. Still no word from Apple – the official iTunes Match page still shows the list of 37 supported countries that went into effect in late January.